What a strange description. Will it mean your puppy will actually turn out ugly? Definitely NOT! For an initial period of time, he may seem a little scraggly, but never ugly. The Pomeranian is among the most beautiful of all dog breeds anywhere on the planet and its regarded as a “necessary evil.” It’s simple one step along the path towards your beloved pet’s becoming the amazing fluffy dog that she or he will become in time. 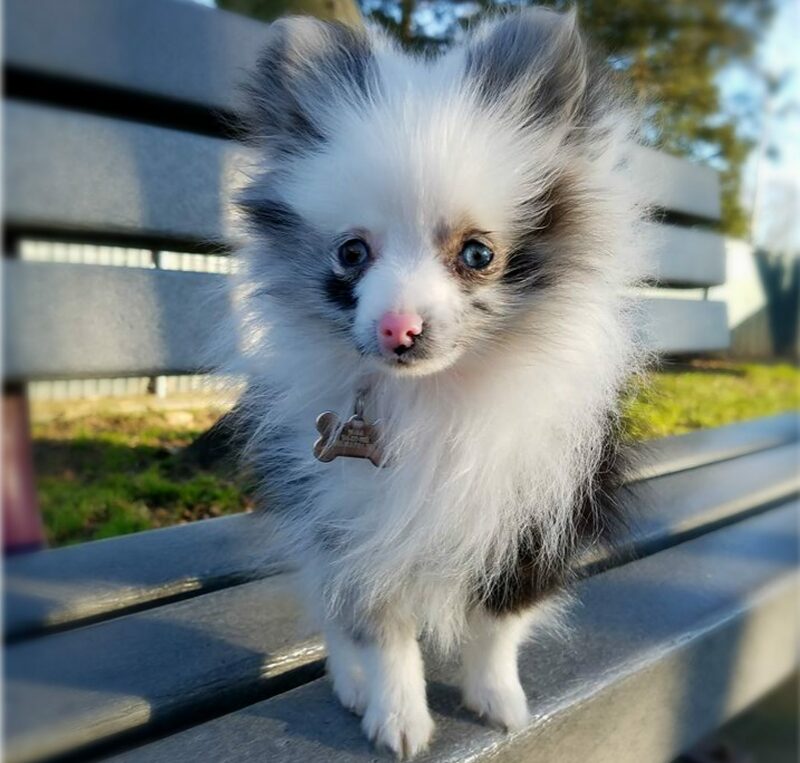 The coats on Pom pups are full, thick double coats that give them the general “fluffy cotton ball” look. The “Puppy Uglies” phase is just a period of growth all Poms go through. It will be more obvious in some than in others. In most Pomeranians, it will be a moderate to severe phase that can worry owners who may not be aware that it’s normal for this breed of puppy to shed so much fur. Within the puppy’s first year of life, the puppy coat is shed and the adult coat replaces it, giving the beloved puppy that lush full coat instead. The worst time of their “ugly” period is when they’re between 4-10 months old. After 10 months, their coat is full and thick once more as they regain their good looks. Regularly brush his coat to get rid of the remnants of the older, dead coat. The faster the dead coat is eliminated, the quicker the new coat can begin to grow strong. Maintains his regular washing schedule but make sure you brush him properly and that ALL of the dead fur has been removed before bathing commences. If this isn’t done right, the coat can become severely matted.